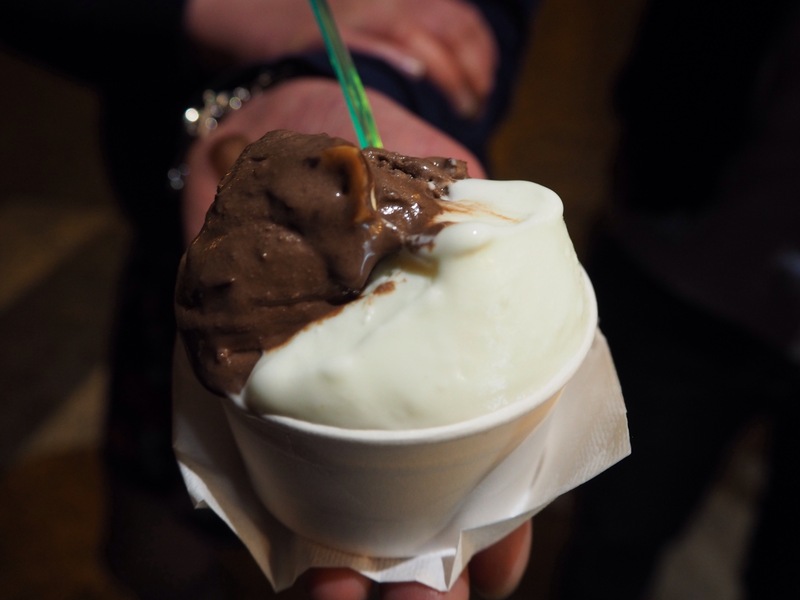 On our second night, we visited La Taverna dei Fori Imperiali (as recommended by Gillian’s Lists on Momondo), as it was a short walk from our Airbnb. It had been a long day of sightseeing, and so by the time we arrived at the restaurant, it was already around 10pm. The menu was quite small at this family-run taverna, particularly compared to a lot of the touristy places we had come across, and it boasted pasta, meat and fish, but no pizza. Despite the late hour, it was still bustling, and when we asked for a table we were rudely informed us that without a reservation, nothing would be possible, especially not for five people! We were slightly disheartened, but luckily, another waiter came along and assured us it wouldn’t be more than a ten minute wait. Lo and behold, ten minutes later we were sitting at a cosy table, and luckily, it was the second waiter looked after us for the rest of the evening. I quickly chose the burrata ravioli with pesto, as this had been recommended by Gillian’s Lists. 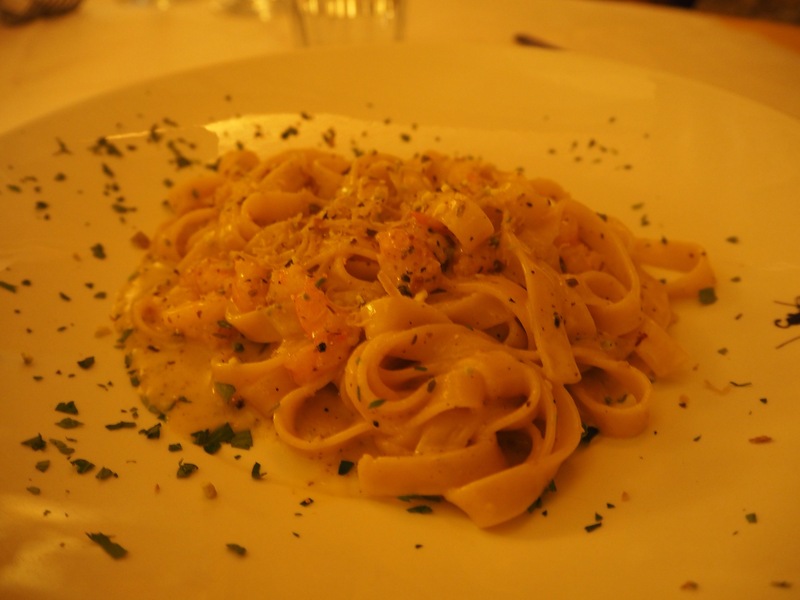 My friends ordered a twist on the classic Roman dish of cacio e pepe (they added black truffles), a saffron spaghetti with prawn and pistachio, filled pork, and a very tender red snapper. The ravioli was perfectly al dente, and the burrata was as creamy as it comes. There were only three pieces of ravioli, which seemed stingy at first, but it was so rich that I was glad they didn’t give me more! In case you haven’t had it before (I only discovered it last year), burrata is a creamier, stringier, better version of mozzarella (it’s made with butter!). 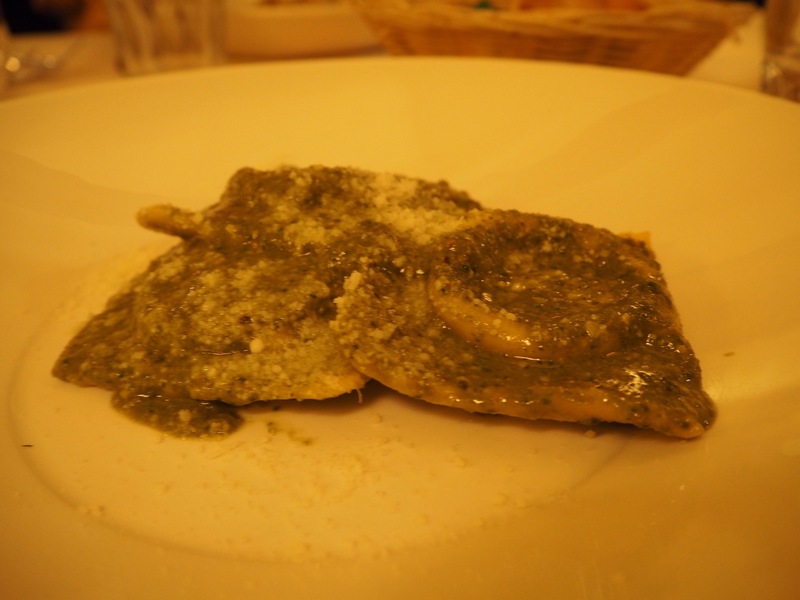 There was a little too much pesto on top of the ravioli, but the flavours were like nothing I’d ever tasted before. 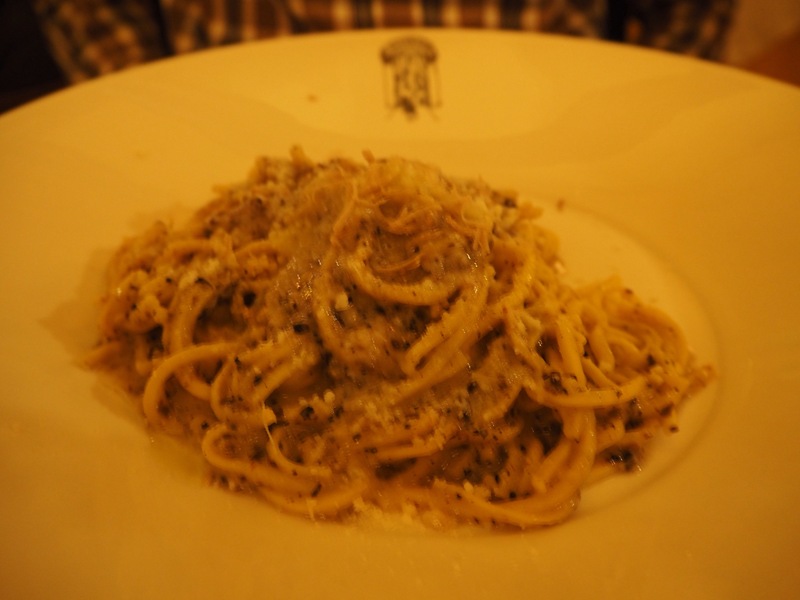 Cacio e pepe with black truffle – sorry for the blurriness! My friends all raved about their own dishes, and we spent the next few days reminiscing about it all! 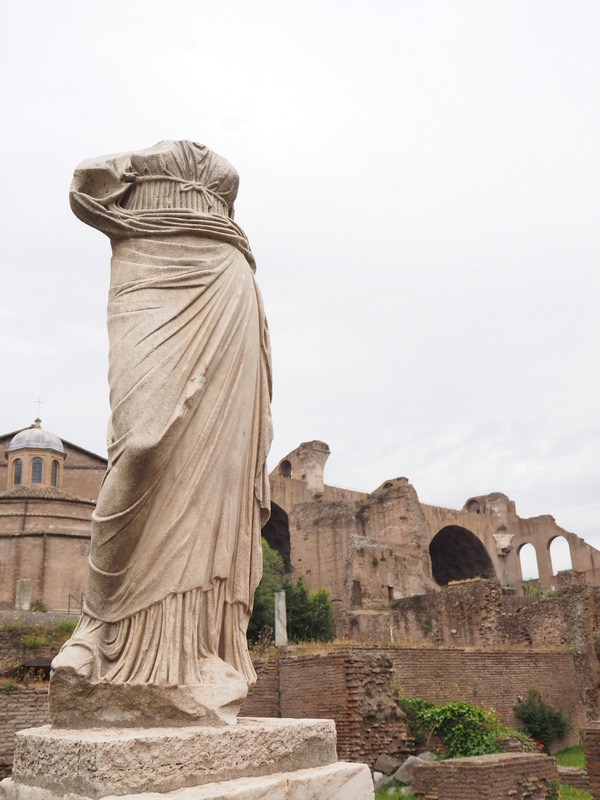 In addition to the outstanding food, Taverna dei Fori Imperiali also has a very pleasant atmosphere (bar the first waiter), and the walls are covered in peculiar drawings, postcards and animal heads. And at the end of our meal, we were offered some complimentary limoncello truffles that were as beautiful as they were tasty.